The big idea is to create objects that can change after they are printed, making them self-adapting. There are 3D printers that build things up, adding one sliver of plastic at a time, and 3D mills that tear things down, grinding away one small chunk at a time. But Skylar Tibbits offer a very provocative alternative: technology for 3D printing where the chunks start separated and intelligently arrange themselves into basically any object. Tibbits’ latest technology for so-called “4D printing,” unveiled during a talk at the TED conference on 26 February in Long Beach, California, uses water to activate and power strands of material that fold themselves into desired shapes. It will be developed in part by the new MIT Self Assembly Lab — to be headed by Tibbits and also announced during his talk — and also by Stratasys, a Minnesota- and Israel-based maker of 3D printers. Tibbits, a faculty member at the MIT Department of Architecture, is also working with Autodesk on software to program 4D printing systems. The big idea is to create objects that can change after they are printed, making them self-adapting. The act of printing is no longer the end of the creative process but merely a waypoint. Though Tibbits has created 4D printing prototypes in the past, the system he unveiled today has streamlined the technology to the point where it’s practical, with smart materials that are simpler, smaller and less expensive than what he’s created in the past. It can also be used on multiple types of materials rather than simply one type of plastic, as with other 3D printers. 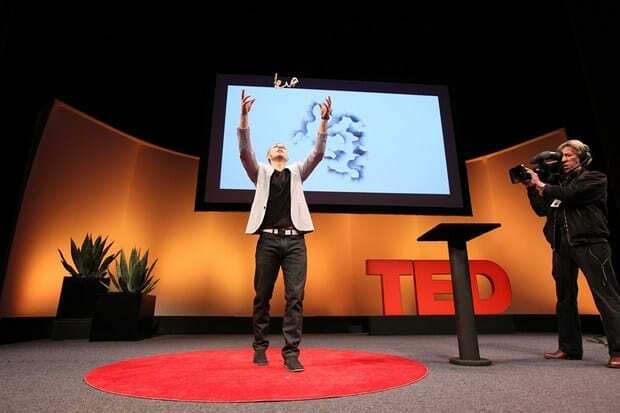 “This is like robotics without wires or motors,” Tibbits told the TED audience.